A One-Shot Wonder unlike any that has gone before! Join Grampa Simpson as he takes you on an unbelievable tale of swashbuckling derring-do that spans the entire cosmos! It’s the wildest ride Bongo Comics has ever offered. And best of all, YOU take the story wherever you want to go! The possibilities are endless and the options inexhaustible. 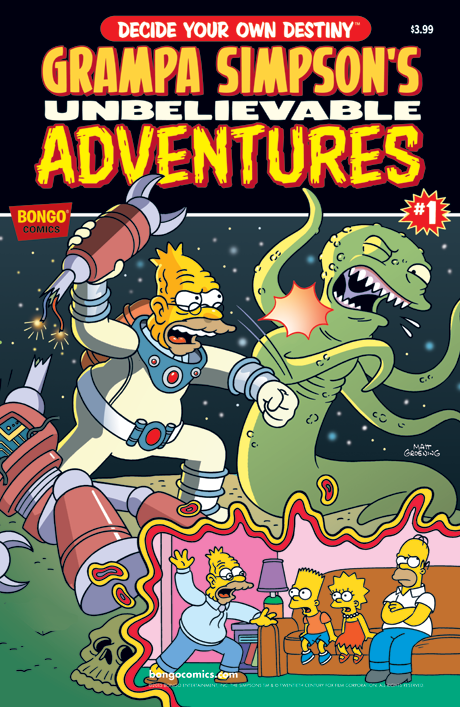 You can’t go wrong with Grampa Simpson’s Unbelievable Adventures!